Climate and Architecture is an exhibition organized by the Royal Academy of Fines Arts, School of Architecture, Copenahgen to address the challenges related to climate change in the field of Architecture. 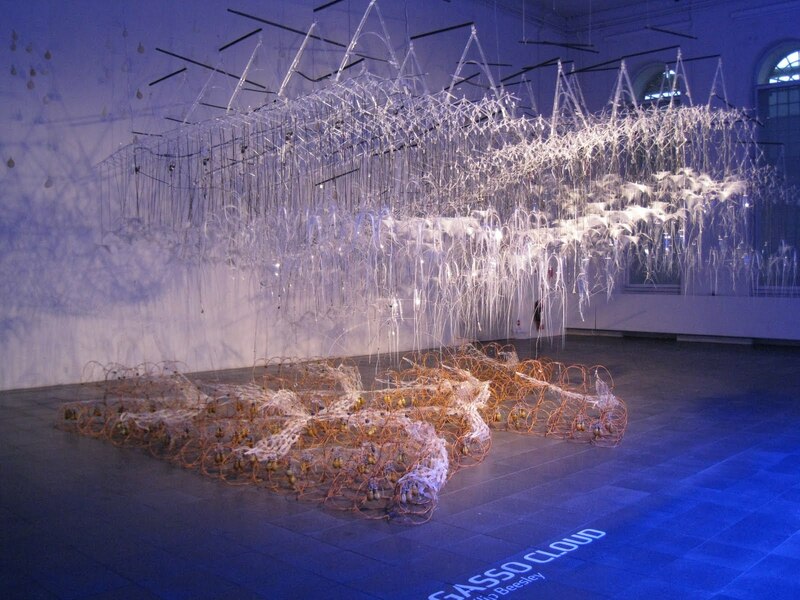 Beyond direct challenges and immediate solutions, the exhibition is embracing the complexity of the question by addessing issues related to ‘human interrelations with physical design, technology, resources & the surrounding climate’. The exhibition presents two major pieces: New Olduvai Gorges by Philippe Rahm and the Sargasso Cloud, the outcome of the CITA (Centre for IT & Architecture) Summer School by Philip Beesley & Mette Ramsgaard Thomsen. The first one is an installation, emblematic of Philippe Rahm's approach, exploring how concepts such as cold, warmth and daylight can determine a new type of meteorological architecture engaging the five senses rather than limitating itself to pure visual experience. 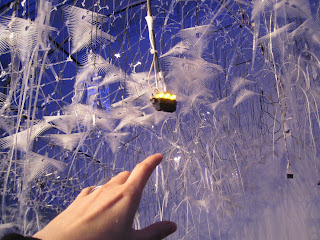 The Sargasso Cloud, -an interactive sculpture where two architectural layers, a forest-like ceiling and a geo-textile structure made out of silk and bamboo interlacing, start to interact and exchange energy as well as responding to human behaviours- investigates how concepts of interactivity and responsiveness can suggest new relationships between buildings and environments. 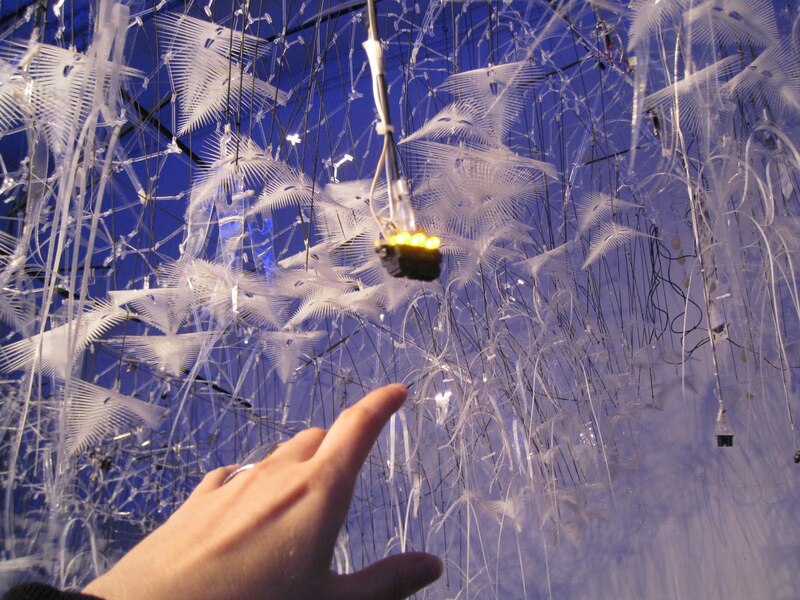 But enough talking, you should go and see for real these poetic installations not only because I took part in the design and making of the Sargasso but especially because the secret resides in experiencing these experimental architectures with the five senses . 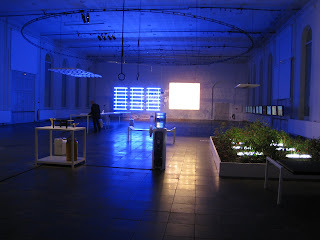 The show will be on till the 20th of december 2009 and will be with a symposium on atmospheric architecture on the 10th of december. Soon more about it!